The Republican Party at the national level does not have full control of the Republican Party in each state, though it exercises some control via the national convention and the rules committee. These concepts have been true and available to inspection for every person who is alive today in the United States for their whole lifetime, and generations before. There are rules changes periodically, but the underlying process has not changed much since at least the nomination of Abraham Lincoln in 1860. What our contemporary electorate needs to understand is that in our system of government, their votes for President are a recommendation to the Electoral College, but not a mandate. Their votes in primaries serve as a recommendation to the parties, but these votes are not fully binding on the parties. This may surprise a drive-thru participant in public affairs. If one has educated him/herself, one ought to have known better all along. This list of bullet-points may seem like a negative thing to one who is ignorant, but if one understood the intentions of our constitution’s framers, one will understand it also because one understood it all along, having bothered to inform his/herself. Before new readers have a walleyed hissy-fit because it seems that I’m calling so many voters “ignorant,”I want you to understand that there’s a qualitative difference between “ignorance” and “stupidity.” Ignorance is simply not having the requisite information. Stupidity is the failure to seek to alleviate one’s ignorance due to a lack of intelligence. Foolish mischief and prideful stubbornness result in the failure to seek to alleviate one’s ignorance for the sake of maintaining one’s internally contradictory opinion. Ignorance can be alleviated with a modicum of effort. Before we recoil at the “discovery” of this “hidden process,” perhaps we should actually seek to know and understand it. In any event, the level of ignorance among registered Democrats is several magnitudes worse. Most of them haven’t bothered even to read the Constitution. Since the beginning of the Republican Party, it has always decided who its nominee for the Presidential election would be through a series of states’ conventions with a delegate process that has always, always varied from state to state. The truth is, as a Republican, there’s only one state about which you really need to care: Yours! If you want to be an elections analyst, or you’re merely very curious and hold an intense interest in public affairs, you might want to know all the others, but it requires a lot of study. Since the various states change their rules from time to time, and since new state statutes and constitutional amendments in those states affect those rules from time to time, it is always in flux. It is always evolving. It always has. It always will. That is part of the dynamic condition of the sort of constitutional, representative republic our framers had designed. If it ever ceases to evolve, you will know that the party has failed entirely, and probably the country as well. All the state parties, to maintain their charters as recognized constituents of the RNC, must abide by some general rules, and agree to the rules set by the national party. Those rules can cause the state parties to adjust their own rules so they can maintain compliance. An example of this was Colorado, which in August 2015, changed its rules in order to protect its interests in the national convention. Let’s see if we can get this straight, shall we? In 2012, Colorado’s GOP held a “straw poll” to seek the recommendation of the voters at large. That state-wide straw poll had never been binding before, but because of the RNC’s rule changes, it would have to be binding if they wanted to hold a straw poll. In other words, delegates selected by the state party would be forced by RNC rules to go to the candidates according to the results of the straw poll, effectively converting the state from a Caucus system, to a primary election system. The Colorado Republican Party didn’t want to be constrained in that fashion, because they feared being stuck with delegates bound to a candidate no longer in the race. Just as now, there are delegates bound to Rubio and others who are no longer in the race, and they will be obliged to vote for those candidates on the first ballot at the convention. Colorado didn’t want its delegates constrained in that fashion, so they changed their rules, as they are entitled. They did so last August such that every campaign had time to know the rules and adjust accordingly. Some did, but some didn’t. Speaking of ballots at the National Republican Convention in July, I suppose I need to cover this briefly, since it seems there is a good deal of confusion. The way the national party, the RNC, selects the candidate who will be the party’s nominee is through a system of ballots. (Votes, if you prefer.) There are a total of 2,472 delegates in the Republican Party. Half of that number is 1,236. Add one(1,) and what you have is 1,237, also known as a “majority.” For those who are confused about this, it is important to remember that a “majority” does not mean “the most.” It means “one more than half.” A “plurality” is equal to “the most.” If the rule specified a “plurality” instead of a majority, then all a candidate would need to obtain is “the most” delegates. (The highest total.) The rules state, and have always, always stated, that a majority is required. This is not something new to 2016, but it has become an issue of popular concern because there now exists a better than even chance that no candidate will make the 1,237 delegate mark. Returning to the national convention, let’s imagine one in which no candidate has obtained 1,237 bound delegates prior to the first ballot. It is still possible to win on that first ballot because there are usually some number of unbound delegates. It simply depends upon how clever a negotiator one is, with respect to the unbound delegates, and how large a shortfall one has. If nobody has obtained at least so many that with the addition of unbound delegates, they’re able to close the gap, what you now have is officially a “contested convention.” Of course, it should also be stated again that something else is true: It is possible to have 1,237 or more bound delegates going into the convention, and still lose. How can that happen? Easy! All it takes is that a candidate with 1,237 delegates has even one delegate abstain from the first ballot. In other words, ultimately, nobody can actually be nominated with certainty until the convention. This is where the term “presumptive nominee” arises. A presumptive nominee is a candidate who has obtained 1,237 bound delegates, but who hasn’t yet officially received the party’s nomination when the delegates cast their votes. Even if you had all 2,472 delegates bound to you prior to the convention, if 1,236 of them abstain from the first ballot, what you have is a “contested convention.” While highly, highly unlikely, even if a candidate somehow managed to have 2,000 or more delegates bound for the first ballot, it is strictly possible for that candidate to be defeated. So you see, those who say that the “party chooses the nominee” are exactly, technically correct, and if the party is absolutely dead-set against a candidate, they have the ultimate ability to turn that candidate away. That said, the party is not so likely to go this far to prevent the nomination of a candidate because it’s suicidal in an electoral sense. One might wonder why a party would do so, or what justification there would be for denying a candidate the nomination. One reason might be that some substantial proportion of the party finds the proposed nominee unacceptable for some reason, perhaps electability, or that the candidate’s long-term impact on the party might be substantially damaging to its ends. Whatever the case, it is possible, and has happened that the candidate who had “the most” delegates going into the convention wound up without the nomination. This was true in 1860, when Abraham Lincoln actually went into the convention with the third highest delegate count. If you wonder why John Kasich sticks around, here is your answer, (although Abe Lincoln, John Kasich clearly is not…) Of course, Kasich has another hurdle to clear as the rules now stand: He hasn’t won a majority of delegates in at least eight states. This is a requirement that was put in place four years ago. At present, Kasich has only won a majority of delegates in his home state, Ohio, and it’s likely the only state in which he will have won a majority of delegates by the time we get to the national convention in Cleveland, this July. Unless there is a change to rules, he won’t be eligible for nomination. Imagine arriving at the July convention with no candidate having obtained 1,237 bound delegates. Further imagine that all states perpetually bound their candidates, so that no matter how many ballots they cast, they would always, always be compelled to vote for the same candidate. How would the party ever obtain a nominee? It couldn’t! Think about this for a moment, and then you will realize that Freedom Watch’s foolish lawsuit is truly a nuisance lawsuit that belongs in the category of “frivolous” if ever a lawsuit belonged in that category. His excuse, the “tort”(or “harm”) he cites in his suit, is that the people of Florida(of which he is one, thus alleging standing,) are being defrauded by the Florida and National GOP because they “held forth” that delegates will be bound. In other words, he’s saying that because voters may not have informed themselves of the Party’s rules, they’re being defrauded. Ladies and gentlemen, this is a toxic bit of political grand-standing, if ever there was one. Any decent judge, of sound mind and judicial temperament, would bounce this case out of his/her courtroom faster than one can say “build a wall!” Is Klayman really alleging that he didn’t know the delegate rules for his state, and was therefore harmed? That’s nearly the most preposterous thing I think I’ve read lately, but as I’m certain most readers will have observed, there’s no shortage of absurdity in this election cycle. Having meandered through this whole topic a bit, I suppose I ought to conclude. My conclusion is as follows: The party selects its nominee – not the electorate – but the party tends to listen to the recommendations in various forms it has received from the electorate, where applicable. All of this has been true for every election in my lifetime, the lifetime of my parents, and for many generations before. If a person older than, let’s be charitable and say twenty-six years of age, doesn’t know these facts and rules, it’s only possible because they have chosen never to engage themselves in discovering them. I chose twenty-six because by then, a person should have participated in at least two presidential election cycles. I don’t know if I knew all of this by the time I was twenty-six, but I am fairly certain I’ve known most of it since at least the age of thirty years. It is amazing to me that people who are in their forties, fifties, and sixties now complain about this as though it’s all news to them. The Internet has been around as a commonly accessible research tool for more than twenty years. Most states and most state parties have had websites devoted to this information for most or all of that time. To claim ignorance at this late date is to openly proclaim one’s complete lack of diligence. If one can surf the web over to Ebay or Amazon, to make purchases, and so on, I don’t see how it’s possible that somebody who wanted to know this information was somehow denied access to it. The election laws governing the states’ parties are generally available through each state’s Secretary of State website, where they may also provide links to the various parties operating in their state. I encourage all Americans of voting age, or even younger, to learn and know at least the laws relevant in their particular states, and certainly the rules applicable to the party with which they choose to associate, if any. 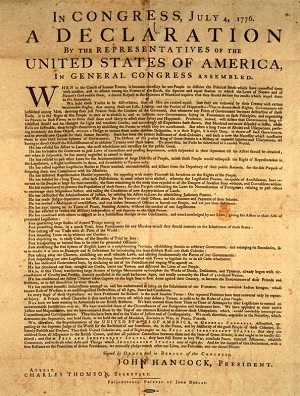 The United States was established so that citizens could, through the various levels of government and attending political processes, participate fully in their own governance. In short, being a citizen is supposed to be an active lifetime engagement for the people to determine the course of the nation. in order to fully realize that participation, citizens should become familiar and remain up-to-date on the laws and rules applicable to their particular political interests and participation. For most of my readers, most of this will not be news, although for perhaps some of the younger readers, it may be enlightening, but with all the, dare I say “trumped-up” controversy, I thought it critically necessary to clear the air on this issue. Factually, this is the process. You might not like it as is, but you have the ability to work to change it. If you think the existing parties cannot be reformed, you are also free in America to form your own and if you’re very successful, in a decade or two, you might be able to have grown it enough to have viable national candidates. What is not true is that some giant magic “easy button” exists to “fix things” instantaneously. Being an active citizen is something too few citizens actually do, and this is to the detriment of the country as a whole, and certainly to the parties in particular. Ignorance of these facts leave too many Americans easy prey for demagogues, and it’s instructive to watch how, with the circumstance of the GOP nomination fight, so many Americans are easily led astray. I dearly hope this will be a lesson for many, providing them the impetus to engage in the true blessing of self-governance in a thorough fashion they had never contemplated before. Lastly, I would like to address the complaints of those who argue that it’s “too hard” or “too difficult” or that there is some situational constraint on one’s participation in the full political process. I grant that at various times in our lives, it can be more and less difficult to find the time to fully participate, but I also know this: If most of us really wanted to do so, most of us could find a way. What I’ve seen is that for many, complaining and stomping around is a good deal easier, and it satisfies the temporary emotional need. That sort of laziness will never lead to change, however, and it’s high time that having informed oneself, each goes on to a full and unrelenting participation. Editor’s Note: This article should not be seen as an endorsement of all aspects of the Republican Party’s rules or procedures, but instead a simple statement about the simpler fact that some form of these rules, with some variation, have been in place since the beginning of the party. It’s also intended as a way to further that historical perspective and to alleviate some of the ignorance made plain by the reactions to this information by some people. My intent is not to criticize the electorate at large, but to make them aware of these historical facts so that even should they fail in this election cycle to obtain their desired result, they will have no excuse for not being ready to fully participate in the next cycle, and to fight for those changes they believe are necessary. Given the feedback I’ve gotten over a previous column, both here and on Facebook, I’m inclined to believe that the country will not be salvaged or saved. What I’ve been told by people who I had long believed to be conservatives is that ideology is “BS.” Principles are worthless. Ideas and philosophy don’t matter. It’s all pointless babble, with no power to affect change, and that it must be discounted in favor of expedience, electioneering, and the perceived political exigencies of the moment. I understand that there are people who find themselves in a place of complete and utter political disenfranchisement (welcome to my world,) but to suggest that ideas, principles, and philosophies don’t matter is to say nothing matters, not even life itself. I was told in a Facebook comment today that I should be willing to set aside my principles for “the good of the country.” What in the name of John Jacob Jingleheimer-Schmidt does that mean? Without my principles, how am I to know what is “the good of the country?” Without my principles, I might consider “the good of the country” to be whatever I imagine on a whim. Do I surrender my principles to Donald Trump’s judgments? To Sarah Palin’s? Without principles, how do I know if any of them are right? How do I know? There are some people who I trust a good deal, but I don’t surrender my intellectual or moral sovereignty to anybody. Ever. For once, I’d like all of the proponents of life without principle to consider what it is they’re advocating, assuming they’re still able. Get up tomorrow morning. Go to work. Why? Why bother? Who says you should pay for your own way in life? Who needs principles? Choose your mate. Your soul-mate. If s/he displeases you, ditch and get another. Why try to work it out? Who says children need parents and an intact family? Why are you hung up on principles? Need food? Go take it from your neighbor. Sure, it’s stealing, but we don’t have time or need of principles of private property, or any of that old-fashioned nonsense about good and evil, the ten commandments, or any other idea. We don’t need that. Just do what you want to who you want when you want! “Do unto others as you would have them do unto you?” Why bother with that? They’re all out to screw me anyway, and they will do unto me whatever they want, because they don’t have need of principles either. To Hell with principle. Principles never seem to get me anywhere, anyway! If I stick to principles while others cast them aside, or never bother to consider them, I’m the sucker, and I’m the one at a disadvantage! No sir, no principles any longer. I don’t worry about principles, or holding fast to my beliefs. I can go with the flow. I can be anything I want to be, any time I want to be whatever it is I’m considering. I don’t have a care in the world about principles, because they simply act as a constraint upon me, but upon nobody else. That makes me the sucker, so no more principles. In politics, I want to win, whatever principles I need to reject, discard, or otherwise eject from my thinking. As long as my candidate wins, principles don’t matter. Ladies and gentlemen, if this line of thinking has come to dominate your thought processes, you’re on the wrong website. LEAVE NOW, and never return, excepting as your folly becomes clearer in your mind. I find this despicable in every possible meaning of the word. If you accept life without principle, I will have nothing to do with you, as no decent person on the face of the planet should. Had you any principles remaining, you would be ashamed for even suggesting such a thing, never mind practicing it. It is despicable that in a nation founded upon an idea, the people of the country would devolve in character and wisdom to such an extent that in the throws of their allegedly patriotic fervor, they would reject ideas and ideals. It makes me sick – physically, demonstrably ill.
People have prevailed upon me to consider how a certain candidate will “Make America Great Again.” I then ask: “What made America great in the first place?” By what standard of value had American been “great?” On what principle were those standards of value based? How can I even determine what is “great” without principles? How can I know if it’s better or worse or just the same if I’ve cast off the ideology by which I am able to make such determinations? How will I know? Whose judgment shall I trust? Upon which principle will my judgment rest once I’ve cast them off? This is something none of them can or will answer. There can be no honest answer to this without either an immediate confession of error or a de facto admission of idiocy. If that’s your schtick, so be it. Go forth to whatever end your folly will have earned for you. We live in the time of a desperate struggle no politician seems willing to name. Our nation is sinking back into the swamp from which it emerged, in a world still dominated by primitive, tribalism from which we seem unable or unwilling to escape. We do not examine our philosophy any longer, and we do not consider the meaning of our abandonment of principles, much less the result of such evasions. A culture is only as good as its underlying philosophy, but ours is damaged seemingly beyond repair. America had always suffered from contradictions, but now they are not exceptional “one-offs” but the the norm. Those of us who have bothered to understand these dire problems have grown weary, and I am among those who no longer wish to repeat the same things, because the intended audience seems unmoved. We are giving away our liberty, and for all of the missteps of the last two-hundred years, America survived despite them, but this situation will not persist indefinitely. If the America our founders had envisioned is to be reborn, rejuvenated, and revived, we must do the work. We must explain it. We must be its advocates. We must be willing to have the arguments. Whether America will survive or perish, it is up to us to make its case, but to do so, we must first understand what had made America. To understand what had been unique about America, let us consider that feature, the underlying notion, which had been at the heart of its founding, its growth, and its success. Let us be careful to carve out only that which had made this country substantially different from all the others, lest we fall into the trap of misidentifying its greatest virtues. Among all the things one might say about America, it’s most fundamental principle had been that “man is endowed by his Creator with certain unalienable rights.” Whether you took that endowment to be a product of “Nature or Nature’s God,” the simplicity of this idea is that which had set America apart. For the first time in all of human history, a government was formed that declared that it was not the ultimate arbiter and owner of all men under the sphere of its control. In all other systems before it, and all the systems arising since, men were chattel of the state in some form or fashion. In short, they were still property of the tribe. This was true whether you were subject to the “Divine Right of Kings,” or property of the collective as in the Soviet Union. This has remained true in all the welfare states of Europe, and with a sickening degree of rapidity, has been increasingly adopted here in the United States over the last century. These are the definitions of statism. America had been the first system to reject statism. The principle that man is an end in and of himself, without reference to another soul, had been the bedrock of America. That principle has been polluted, deprecated, denounced, and demolished. Now we see the abysmal spectacle of man the slave to man via the commands of the state. We have escaped only to permit ourselves to again become captive to the same old treachery. In what other manner can you explain the idea that a person subject to the laws of the United States must now be held to pay support for every artifact of modern convenience for every other soul? How else can one explain Obamacare, SNAP, Medicaid, Medicare, Social Security, AFDC, WIC, Section 8 Housing, “Obama-phones,” “Free” Internet, and all the myriad other “benefits” or “entitlements” of our allegedly civilized age? We have no need to complain of a military-industrial complex, or of foreign aid, for all the evils they may impose, because these represent a pittance of the national expenditure when compared with all the rest. No, what we have permitted, at first in small pieces and by small enumerations, is the enslavement of all men to all men via the artifices of the state. We love to speak of our freedom of speech, our freedom of religion and the press, and our right to keep and bear arms, but these too are now taking a beating under the enslavement of all to all. You have the right to free speech lest you offend somebody. You have the right of free exercise of religion lest it offend somebody. You have the right of a free press, but no press anywhere, except perhaps in small ways in the blogosphere is free any longer. You have the right to bear arms in your own defense, but only in such fashion as it doesn’t offend or frighten anybody, or permit you the ability to actually repel somebody who might attack you. You have the right to pursue happiness, but no right to hold onto the material implementations of happiness that your own exertions may have afforded to you otherwise. These liberties were all born of the notion that no man is owned by the state, and yet slowly and seemingly irretrievably, these “rights” have been yielded back to the state. Still, these are mere symptoms of the greater disease that is rotting away the core and health of the American political environment. The root of this disease is philosophical, but it will not be cured by political slogans. Men must not be owned, either directly by other men, or through a surrogate called “the state” or “society.” So long as we permit this idea to fester and grow, it is a cancer slowly metastasizing to all parts of the body of American culture and politics. It has destroyed our philosophy. It has permitted egregious inconsistencies and contradictions in our laws. It has enabled the would-be slave-masters to re-establish a foothold in a wider fashion than nineteenth century slavery ever could. What we have permitted to be lost is the philosophical core of our argument, and every retreat or defeat in politics of the last century has been merely a symptom of the surrender of this principle: Man is endowed with unalienable rights, and it is governments’ sole legitimate purpose to defend them. Instead, we now see that government has become the worst offender, and we wonder why we can make no ground on subsidiary concretes. This had been our founders’ vision. To the degree they failed to “perfect” it, they nevertheless left us the means by which to do so. Instead, we have tarnished their ideals, and rejected their core philosophy in favor of the “pragmatic” expediencies of the moment. We have failed to educate our young, and we have failed to remind ourselves why it is that America had been different, and why there was so much to be gained here for all men, everywhere. It was not the material wealth of America’s resources that permitted her growth, but the idea at the heart of its laws and traditions that each person is an end in themselves, and that no person or collection of persons had the authority to disparage those rights. Today, rights are being disparaged and deprecated at a mind-numbing pace, and we have none to blame but ourselves. If we are to resurrect liberty from its dying gasps, we must know and publicly identify the cause of its impending death, and we must not shrink from standing in the breech in liberty’s waning moments. Stand there, and others will accompany you, bolstered by your courage. If not, we’ve already lost. I have heard and read a good deal about a UN Convention on Small Arms Trade, a Treaty that some allege could ultimately result in the banning of firearms held by private citizens in the United States. While I’m not certain that such a treaty could affect domestic gun rights, the idea is that such a treaty, ratified by the Senate, effectively becomes Constitutional law. This argument is based on the notion that when the US enters into a treaty, it’s binding upon the government just like a constitutional amendment, although there are existing precedents in opposition to that view, including Reid v. Covert. Imagining that such a treaty would disparage our 2nd Amendment rights, were such a thing to eventuate, who doubts but that some leftist in charge would enforce it as such, or that a Supreme Court led by the likes of John Roberts would uphold it as superseding our 2nd Amendment? Who doubts that a Congress led by such cowards as now occupy those positions would subserviently enact all the funding mechanisms to support enforcement? Rep. Benjamin Quayle(R-AZ,) and co-sponsor Todd Akin(R-MO) have introduced the Second Amendment Sovereignty Act of 2012, (H.R. 5846,) in response to this threat. It’s going nowhere. This has always been my question, in fact, because I’ve been around long enough to know that many will say things that sound awfully tough, in terribly solemn tones in the first instance, but that most won’t live up to the billing in the second. Most mature people are relatively risk-averse, and when they consider handing over their guns to maintain a nervous peace versus the idea of actually beginning a second war for Independence against an[other] aggressive government, I think most so-called “fearless Patriots” might just chicken out. After all, by a slow process of incrementalism, the American people have let many of their liberties go without much more than a protest march or two, and not much more than a temporary backlash at the polls. I believe a rabid Marxist holding the reins of power would realize this too, as would his committed communist pals, and I think such a leader would be more than willing to go all the way and call some bluffs. In fact, I think such a villain would see it as a win-win: If he calls the bluffs of the American people on this and they should happen to fold, he would have rid the country of guns, and made the American people defenseless in their own homes. If he calls the bluffs, but they turn out not to be a bluff, he would have a good excuse to declare martial law, perhaps cancel elections, and wipe out a few hard-core conservatives along the way, if there is anything less than a perfectly united stance by American conservatives. 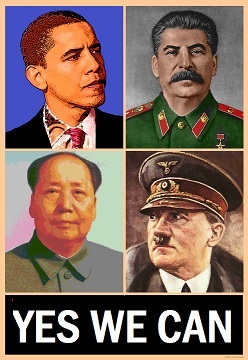 You might wonder why I am raising this issue now, and it surely arises in part from the recent talk over the treaty in question, but I am also asking the question because I’ve seen signs that we have no small number of surrender monkeys who call themselves “conservative.” If the day should ever arrive when gun confiscations actually begin, and there is a resistance, it will fail if conservatives don’t act – not talk – in lockstep. That would be a big play by by such a tyrant, for all the marbles, but it would also be a big play by Americans. It would be truly a matter of pledging their “lives and their sacred honor,” because any such battle would commence a counter-counter-revolution. What you learn from a lifetime of observation is that he who is more consistently committed wins every battle, every war, and every fight of any sort. This is why I have cause to worry: I think many people make many professions by which may not abide when push comes to shove. After all, if such a resistance were to break out, you would scarcely receive news of it. Such a leader would use that new Internet shut-down switch to cut off that means of news dissemination. He would order the FCC to shut down all cell phones, and shortly, all wired calls, broadcast, cable and satellite, along with radio, and the only thing you might be able to dial would be 9-1-1, or if you had a shortwave radio, begin to exchange information before the jamming commenced in earnest . It’s what emergency exercises are intended to test. Remember? Neither would be trusted all law enforcement, nor all military. Too many are Oath-Keepers(though not nearly enough for my comfort.) What would result after a day or two is that the brain-addled multitudes would demand the restoration of their cable, their Internet, their phones, and their blessed text messages, so they would join the chorus from the left to put down any rebellion. Think about it. Fools all, yes, but fools who would provide a runaway government with every excuse it might ever need. Every person must establish his or her own bright line across which government must not tread, or admit from the outset that he or she is a willing slave, but in the main, they do not admit it, and they make their lines dimly, and cover them over in hasty retreat when pressed. The singularly most pressing reason to raise this at this time is that I believe too few have actually considered all those oaths about “cold dead hands,” and what they would actually demand. After all, what that phrase implies is a willingness to literally enter a state of war against a runaway government that would claim legitimacy by virtue of some black-robed moron’s judgment, or some heat-of-the-moment command from a would-be tyrant. Any who take such things too lightly wouldn’t be the sort to be counted on in any case, because anybody who conceives of such things without deep prior contemplation of consequences isn’t very serious about it. 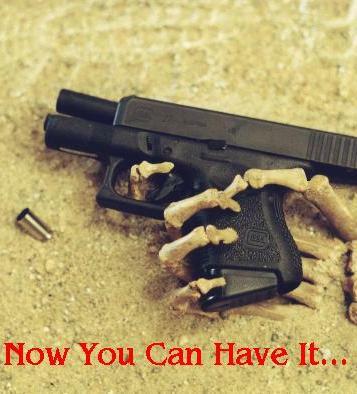 Australia was a nifty experiment for the global gun-grabbers, and they saw how the cold-dead-handers reacted there. In a virtual flash, Australia was disarmed. Has Australia undergone a violent revolution? Have they repealed such measures? If so, I’ve not read about it. If you wonder what the radical communist left would count on, considering the hundreds of millions of guns and the eighty-million or more firearm owners as an obstacle to their plotting, you might wish to give a thought or two to this. While alleged patriots who may or may not adhere to all of those oaths continue to make them, the radical left is surely plotting for the day in which they will make this a reality. Larry Grathwohl’s story of three decades ago hasn’t changed, and some of the very people about whom he had been concerned are now members of government. The question is whether they’ve thought this through, and I believe you can assume they have, and that’s something upon which I’m willing to bet. Our founders must have been much more extraordinarily brave than we credit them with having been. Now go consider all those oaths anew. Did you really mean them? Time may tell. Something to ponder. On this Fourth day of July, the nation marks its Independence Day, but I fear that for all the remembrances of glory now passed out of mind by most Americans, and for all the lovely, somber assemblies that will today gather in order to consider the truly beautiful words of the brilliant minds who once established this country, who risked literally all in order to put aside a tyrant, there are pitifully few among us who have the courage to repeat their bold actions, or even realize the true marvel that had been the American founding. I have always believed that America was more than a place defined by some lines drawn on a map, and its meaning was more than even the stunning assembly of the stars and stripes of Old Glory could represent. No, America had been synonymous with “Liberty,” and “Freedom,” and other rare concepts of human refinement that have not been duplicated anywhere. To all of my patriotic friends, who look glumly about at the depressing caricature we’ve been watching our nation become, I urge you to take heart: America lives! It is true that the statists have developed and implemented a plan for our national diminution. It is true even that some among our number seem to happily go along with the slide. The worst of it for many will have been how the July 4th observances this year will seem more like a eulogy than a celebration. 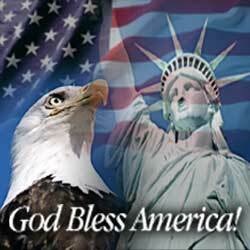 We now give our beloved America the big send-off, with fireworks to punctuate the wake. A funeral need not be a glum affair, and with all the flag-waving set to commence, it seems appropriate that rather than play an encore of Stars and Stripes Forever, we instead yield the music of the day to a funeral march. Yet this is only appropriate if we view America as nothing more than a political partition. True, it is clear that the Republic lies at Death’s door, but the idea that stands behind the Republic remains alive in each of us who will merely bear its memory forth. The gun-grabbers will attempt to take our rights to keep and bear, but still we must resist them, whatever the laws they may make. That’s what an American would do. The taxers and dispensers-of-penalties (just in case Mitt Romney still doesn’t know which he had been as Governor of that once-free commonwealth) can work their worst, but at the end of the day, if you are willing to live without comforts, you can resist this too. This I am certain, every real American would do. Were I closer to New York, for example, I would be inclined to raid a grocery warehouse, buying up all the little Morton’s salt shakers, and dispense one on every table in every restaurant in sight, and a pox on Michael Bloomberg for his wretched regulating, and I would probably start in any cafeteria owned by the city. This is what the bold, but not the timid, would do. Americans think to do such things. Docile slaves never do. America isn’t defined by Washington DC. It is only the United States of America that is shaped and molded there. One-million Obamas with one-billion executive orders backed-up by nine-thousand robe-clad morons cannot make a nation of three hundred million people do anything, not even a fraction of them, if they choose not to do it. In America, the people know this, and while they may lament the existence of such brigands in public office, they likewise remember that the founders of America had declared that a government exists at the pleasure of all its people. 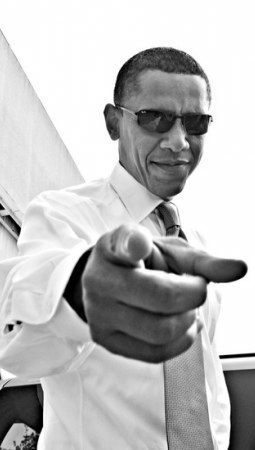 Does a government headed by Barack Obama exist at your pleasure? Do you think only Mitt Romney can save us, or do you understand that in America, the least among us is still completely capable of saying “no,” and meaning it? Jury nullification is not a new idea, but most of the time, we get tricked into a. )admitting that’s what we’re doing, thus putting ourselves in legal jeopardy, or b. )fooled into believing it’s not permissible, somehow dishonest, or lawless. Ladies and gentlemen, we live in a country where Supreme Court Chief justices are lawless as a matter of the routine. In America, we know that law has only the force we give it, and if the law is wrong, it mustn’t be enforced. Let us not give such laws any force, any longer. Am I calling you to anarchy? Never. I am asking you to consider correcting an anarchy already in progress, wherein the law is no restraint upon an aggressive government, irrespective of the party in power. I vote “no” on every bond issue, every tax, and any expansion of government power, no matter how trivial it may seem at the time, because experience has taught me that it will not remain that way. Only in America do citizens routinely tell public officials to kiss off. We should all do so more frequently when justified, and these days, it’s justified plenty. In America, the people know that government isn’t their boss, but that the master-servant relationship puts the people a the top, and the people there have no compunction whatever about reminding the public servants of just exactly who is whom on that particular totem pole. We can look for America in all sorts of places. The first place I always think to look for it is in the minds, the words, and particularly, in the deeds of the people around me. I know how to spot America every time. If you’re the sort of person inclined to read this blog, chances are, so do you, but the first place each should seek it is right there, inside you. I know it’s in there. You might keep it hidden in an office or a school full of leftists. It’s yearning to get out, you know. I realize that the polite society of Republican politics urges you to suppress it, and keep it hidden at all times, and that among Democrats, it’s tucked firmly away lest it escape embarrassingly from the closet. I’ve heard that in Congress, they do their best to isolate it like a leper colony. America is not a Utopia, and does not seek that status, since in America, they yield to the natural fact that there can be no perfection among men. America’s constitution was established to create a “more perfect union,” but it did not promise Heaven on Earth, the authors having known such was impossible. Those men did not say they were seeking a “more perfect lifestyle,” a “more perfect country,” a “less costly health-care system,” or a “more perfect distribution of wealth,” but instead a “more perfect union” not among individual men, but among the several states. In short, they knew they could not make more perfect all the affairs of men, but only that among the institutions of man, they could improve the function, and for a time, they succeeded until some forgot what it was all intended to do. I seek America because I know it’s “out there,” but it’s “in here,” too. I know there are others seeking her too, and I believe I’ve met some decent number of them through this blog. I would urge my friends to spend the Fourth of July seeking America wherever they can find it, but not to waste an inordinate amount of time looking for it in a country called the United States. America has to sneak in an out of there for visits these days, and there’s no sense looking for something where it plainly is not. My friends, I wish you all a happy Independence Day in search of it, and may you find it quickly. I hear she’s worth the trouble. I’ve received a few emails asking me if I’m so angry as it seems on the surface. I’ve politely responded that I’m actually much angrier than the printed word permits me to express. I’ve made mention of something else on that score, and in so doing, you’d think I’d crossed the Rubicon. Maybe I should. I’ve admitted openly that I am not only angry at the Congress, the President and the Court over this Obama-care monstrosity, but that I’m likewise furious at my fellow Americans who aren’t equally furious! I’ve been asked what I expect the anger to get for me, and the truth is that I don’t know. I’ve never been quite this angry before, and I’ve never muttered so many oaths under my breath, and within the confines of my own head as I have these last few days. I’ve asked this question in other forms before, but few have seemed willing to take it up. One of the reasons the statists continue to do things like this to us is because we’re peaceful, law-abiding people on the whole, but just as in the case of the contraception mandate in Obama-care, I am beginning to conclude that perhaps we are the problem. They seem to poke at us like a moron prodding a grizzly with a stick, safely from beyond the bars of a cage at the zoo. We never seem to grab the stick, pull them close, and rip their faces from their thick skulls, and it is this that makes them all the more smug each time they poke at us: We hold the key to the cage. I’ve been asked too how it is that we can express this anger. I suppose we could resort to pitchforks and torches, but I expect that’s precisely what the statists want. In the mean time, we’ll wait peaceably for them to ban pitchforks and torches. They’ve already made incandescent light-bulbs illegal. How long can it be before torches are banned both as a matter of public safety and as a matter of environmental concern? Pitchforks may require a better excuse, but I’m sure they’ll do something like limiting their length. No, the way to express our anger comes down to something simpler, but even this, I’m afraid most people are too timid to attempt: We can simply say “no,” and mean it. Ayn Rand put forward the solution in Atlas Shrugged, but since few can be bothered to read a book of that epic length any longer, I suppose I had better give a brief summary: Those who work, and earn and build are convinced to simply stop, leaving nothing to the statists from which to subsist. All the little moochers, and all the crony capitalists find they cannot survive without those who produce, and they quickly move to a post-Apocalyptic society where anarchy reigns for a time, until the looters ultimately reduce themselves to insignificance. The basic idea is this: All of this is done by our consent. The ghastly welfare-state, the crony-capitalism, the corruption, all of it, every piece, because in part, some of us are corrupted by it, and in part because we are too fearful to simply say “no” and thereby undergo the temporary misery of a rapidly collapsing society. Only our productive endeavors keep this monster alive. Each time we go to work, invest our money, or shove some of it into a savings account, we’re feeding the beast. We’re keeping it alive. It is by behaving as a parasite on our life-blood, our productive enterprises, our labor, and our jobs that this is all kept going. Without our daily/weekly/monthly/annual ‘contributions’ to their system, their system would quickly starve and die. 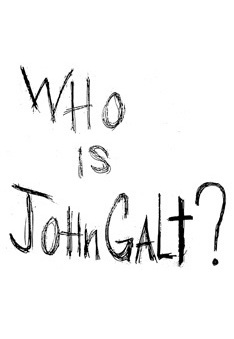 The idea of leaving this all behind has come to be termed “going Galt,” a hat-tip to the book’s hero, John Galt. In Rand’s novel, he was the first to abandon the society to its own devices, determined that he would no longer to provide it any form of support, material, or otherwise. He then set about the task of convincing others to join him. Ladies and gentlemen, I am on the cusp of “going Galt.” Being as this site is named “Mark America,” perhaps the act would come to be known as “going America,” and that would be fitting, indeed. Our country has fallen into the depths of a sickness from which the only recovery will be when we decide to impose it. We have the power to treat this disease. We have the ability to starve it of nourishment. Do we have the courage? Somehow, while I would love to credit Americans with the courage of the ages, still, I get the nagging impression that too many among us would be comfortable as slaves so long as the bellies are full, the roofs don’t leak, and the rivers don’t rise. It’s a depressing state of affairs. Are there any willing to starve the beast, even at the cost of their own temporary, although probably somewhat protracted discomfort? None can say. None dare say. Meanwhile, let’s be angry. Without corresponding action, it doesn’t fix much, but it sure feels good. “What can one do?” Clearly, that list is far more extensive than the more important one: “What should one do?” I can this moment walk into my kitchen, find a fork, and jam it into my forehead. I can do all sorts or self-destructive things, but the question isn’t a matter of what I can do, but instead what I should do. Knowing this difference is something we hope to teach to our children with enough clarity and just enough severity that they understand the distinction. It is a lesson far too many seem to forgo on their passage from childhood into adulthood. More often than not, those who do so become annoyed when you point it out. They say in childishly obstinate petulance that “it’s my life(or my body) and I can do what I want.” My question for those who hold this view of life is ever: If nobody doubts that you can do a thing, why do you hold no doubts about whether you should do it? This question is at the root of a deep cultural divide, and it thoroughly explains the collapse of our country. Our constitution laid out fairly well-defined parameters for what government can do, but more importantly, our framers laid out well-debated conclusions about what our government should do. Their example was seen in the first few administrations, during which time government did do very little. Over time, this tendency to forget “should” and begin implementing “can” eventually gave us a government that is doing almost all it conceivably can, but does very poorly at the few things it should. Defense? Obama is slashing that, including our critical nuclear deterrence capacity. Law enforcement? That’s not something on which he spends a great deal of effort, although regulatory enforcement is now off the hook, with federal inspectors actually looking through pre-schoolers’ lunch bags. The litany of things government can do is exhausting, and in fact, virtually infinite. Governments can compel people to buy health insurance, or pay for their neighbors’ lunches, or almost anything you can imagine. The things governments will do is supposed to be restrained, however, by the notions of what it should do, because in deciding what it should do, you’re also defining what it should not. That was the point of the founders, and the limited government they designed told us what government should do, and in so framing it, they also made clear what government shouldn’t do. Yes, they took the time to include a few things that government mustn’t do, but under the auspices of expanding what it can do, they’re now ignoring these limits too. The proposition that government can require insurers to provide free contraceptive solutions comes at the expense of a thing government mustn’t do, which is to interfere in the matters of exercise of religion.